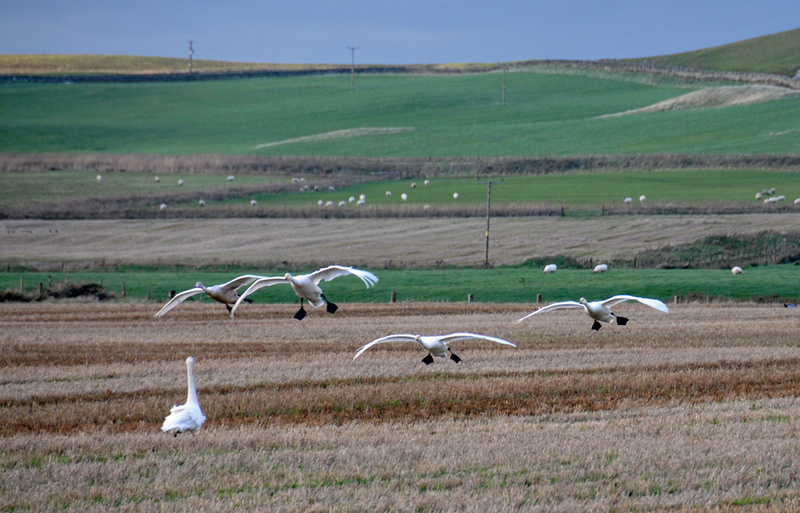 Passing visitors on Islay, four Whooper Swans landing in a field at Coull Farm, joining a fifth. This entry was posted in Cloudy Weather, Landscape, Repost, Wildlife and tagged Coull, Islay, Kilchoman, Whooper Swans by Armin Grewe. Bookmark the permalink.